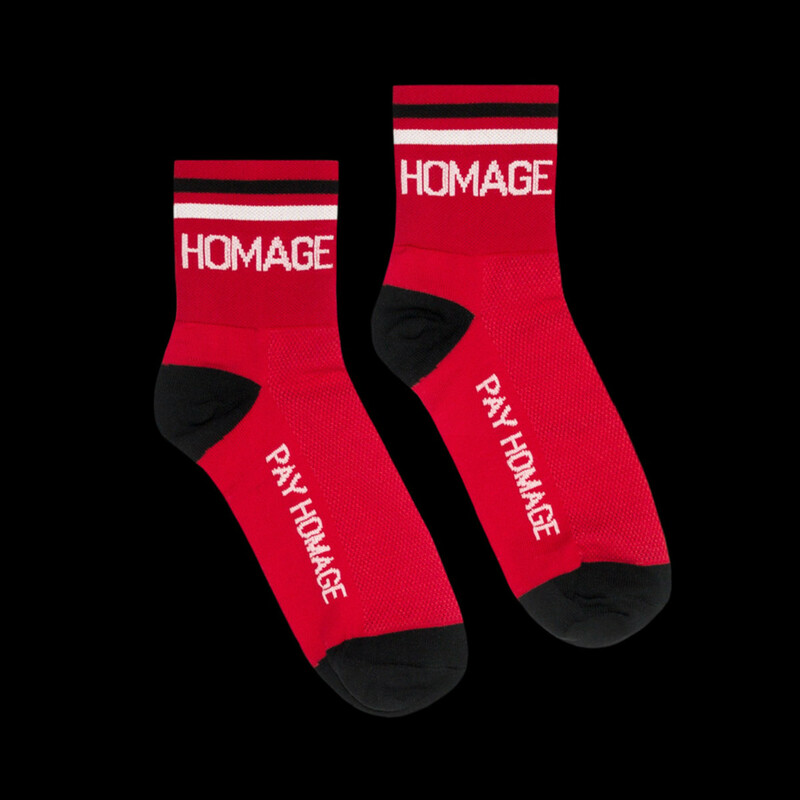 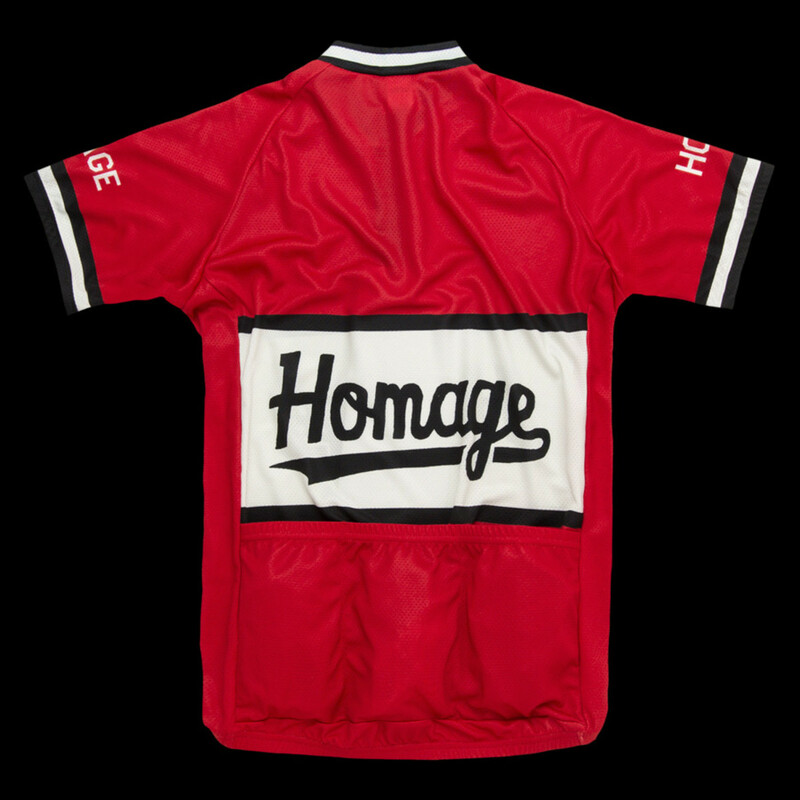 HOMAGE is an amazing Ohio-based apparel company that turns back the clock with references to sports and pop culture through witty tee shirts, sweatshirts and other old-school style gear. 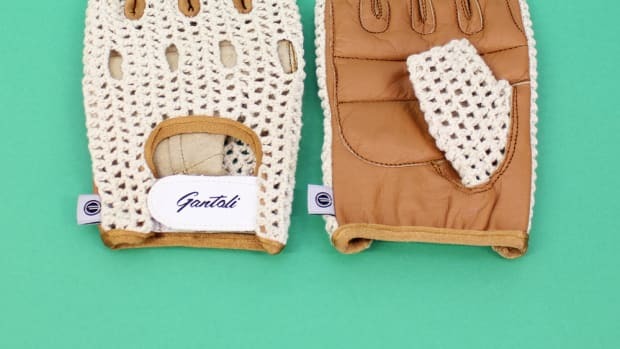 For anyone working in e-commerce and/or digital marketing---their presentation and marketing strategies are worth studying---really good stuff. 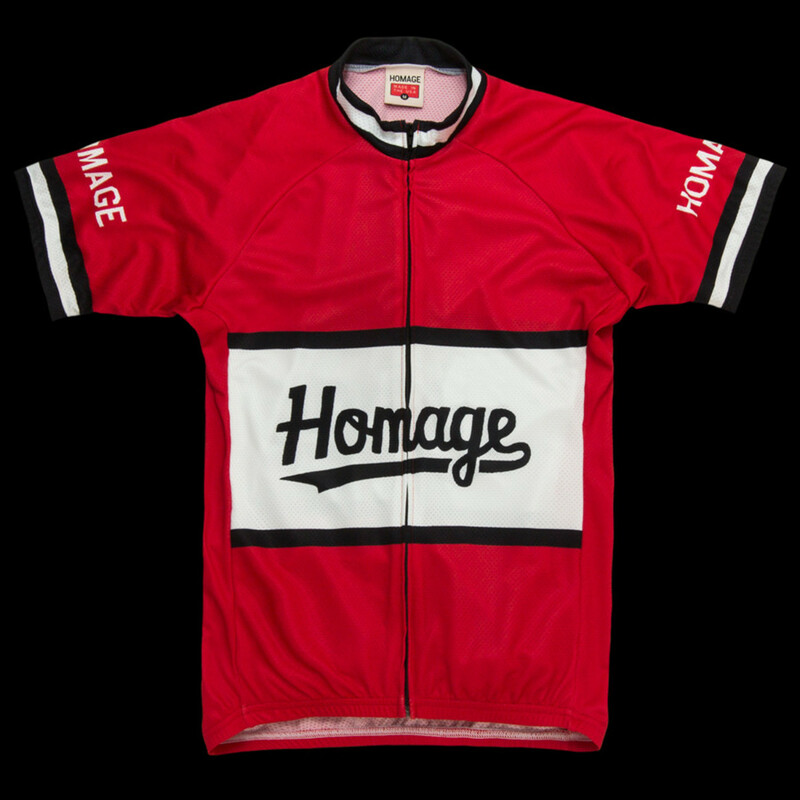 But enough unabashed brand love, let's get down to the product highlight... Their latest "Team HOMAGE" cycling jersey and other cycling appropriate gear has a really cool vintage look to it all. 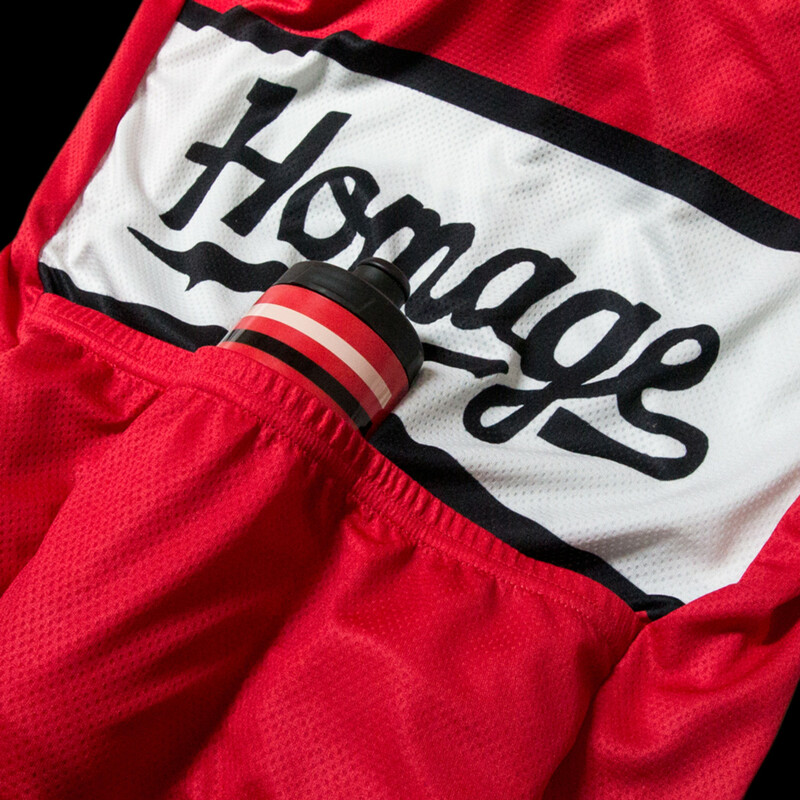 The jersey is proudly made in the USA, features a club fit with a 19” hidden zipper, mid-level collar and three rear pockets, as well as UPF-rated 28+ sun protection and HOMAGE logos on the front and each sleeve. 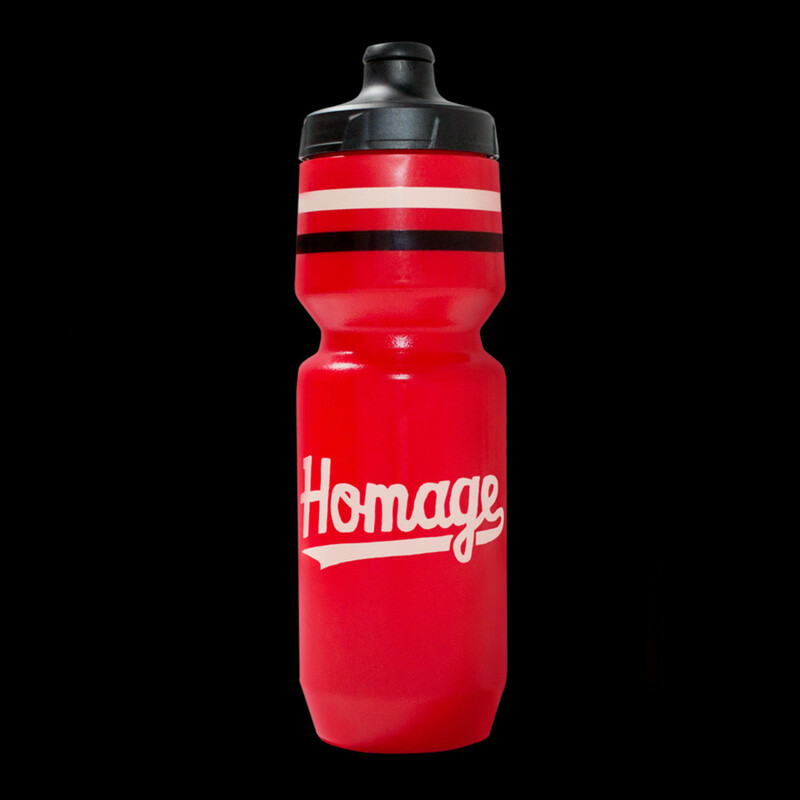 Add the matching water bottle and socks for a complete look.